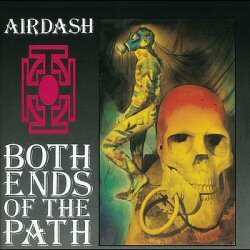 Helsinki Speed Metal act Airdash, founded in 1986, debuted with the Without Lies single for the Kerberos label during 1988, the same label subsequently releasing the first album Thank God Its Monday. 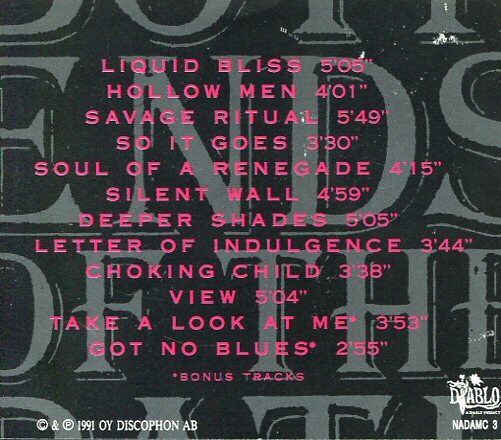 The band switch to the Diablo label for follow up Hospital Hallucinations Take One. Prior to the release of third album Both Ends Of The Path original guitarist Markku Nirri Niiranen was replaced by Tommy Dolivio. 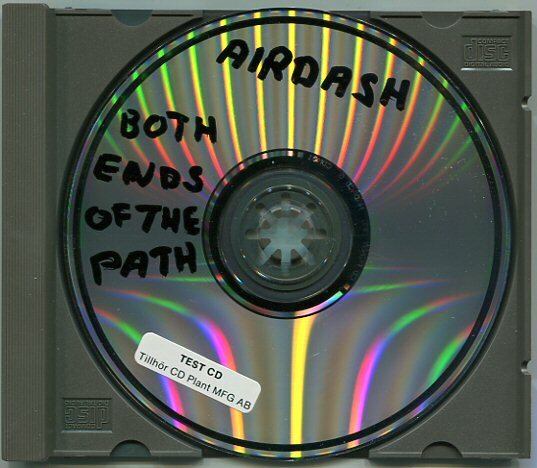 Their third album Both Ends Of The Path can be best described as highly technical thrash metal positioned somewhere between Coroner and Death Angel. It is still pretty easy to recognize the band’s sound even based on the vocal style alone, but this time the music contains some particularly rich elements and even progressive touches that make it somewhat extraordinary. Tracks like Liquid Bliss and Silent Wall are some prime examples of this captivating style whereas Choking Child proves that Airdash could also put out some highly effective straightforward thrashers when they really wanted. A couple of tracks may appear a bit too high for some people, but as a whole the result is surprisingly good. Yes Airdash really took an ambitious step with this their last release and in the end, this is one of those albums that can leave you rather puzzled at first. The best way to get into it is just to give it a few spins one after another until the music either proves itself totally meaningless or suddenly becomes fully understandable in a splendid way.